💻 Creative Juice | Atlanta Graphic Design, Web Design, Marketing Agency / Uncategorized / Why is influencer marketing so important? Have you noticed? Influencer marketing has taken over social media and is a vital way for your brand to reach its target base. In just a few years, this completely untapped form of sharing has now expanded and has become an easy way to get your brand in front of consumers. Present on every form of social media, whether it be on your instagram discovery page or hidden in your Youtube suggested videos, every day people like us, with a large following are are finding brands, reviewing brands, and giving their honest feedback online. What and Who are brand influencers? Brand influencers who are also known as “social media personalities” are people you find online that have a really large social media following. These Influencers not only have a strong presence on social media, but also a real connection with their followers. These people can be bloggers, social media celebrities, industry experts or content creators. Influencers are all over the internet and are viewed for their credibility & authenticity by social media users everywhere. Why do they have such a growing presence? With consumer’s dwindling trust in traditional advertising and celebrity endorsements, influencers offer an authenticity and realism that people are craving. They are honest & real, without any lines attached, and someone that their audience knows and have come to trust. These influencers post content online consistently, which have allowed them to organically grow their following from more than just close friends to people who are interested in their lifestyle and habits. This further opens up the ability to find niche groups of influencers who are within your target market. Influencers are everywhere – Snapchat, Instagram, Facebook, and Youtube. The key to effective branding is creating interest in your brand and finding “raving fans”. One easy way to get in front of your audience is by hiring an influencer who fits the archetype of your ideal customer. With a core genuine following, this influencer can help your product or service gain visibility in front of thousands of people who are just like them. This could mean projecting your brand directly into a into an audience that is already open and trusting thanks to the voice that is speaking about it. Before you jump right in, you want to take the time to learn and research social media influencers. You want to make sure their social media following is actually real, and that their followers would purchase your products or services. Also, for the hundreds of influencers there’s thousands of micro influencers. A micro influencer is one that has a very specific niche following, who may not have millions of followers yet. There are larger personalities that branch to a more wide range of individuals, and then there are the small and specific, who have less of a following but more of a connection with their audience. Who you decide to connect with is very important for your brand’s online presence. 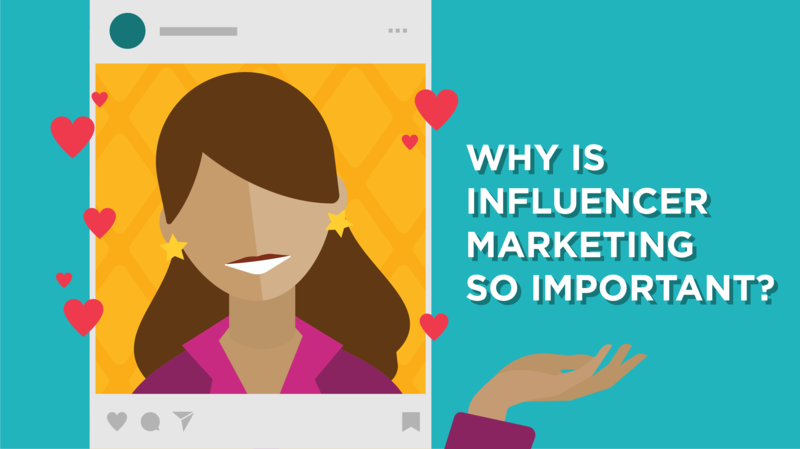 Once you find a few influencers that you think can represent your brand well, you want to pay close attention to the types of things they post, as well as their engagement with their followers. Also, have they worked with a similar brand to yours in the past? This may or may not be a reason to hire them. Engagement from consumers leads to brand loyalty. Followers know influencers and make the decision to not just see, but consistently follow what they do. These influencers have mastered content creation and know what to post to get the right reaction from their followers. Exposure and brand awareness are vital in keeping your brand relevant in today’s saturated retail and eCommerce space. Ideally, the more brand awareness you can achieve, the better. Studies show that 84% of consumers make a purchase after reading about a product or service online. When consumers are excited about a brand, they talk about it! People are already sharing their praises on something they believe in with their network, and influencer marketing is harnessing that. The fact that influencers are everyday people make the ability to connect with these individuals all the more feasible, for any kind of business. As a brand, you can simply reach out to brand influencers to build a relationship with them. Also, if an influencer has worked with your brand before, they will be excited about what is being done and are eager to have the inside scoop on what your brand is doing next. Brand influencers have created a huge impact in the would of digital marketing. With more and more people using social media, and the lack of trust in traditional advertising, influencers now act as an authentic and honest voice. At the end of the day, as a brand, you want to have a connection with your target audience. By working with brand influencers who believe in your brand, and also share their insights to a community who trusts their voice, you create a highly opportunistic, growth plan to reach your market. If you are looking to connect with social media influencers, our Juicers can help. Contact us today to schedule a free digital marketing consultation.